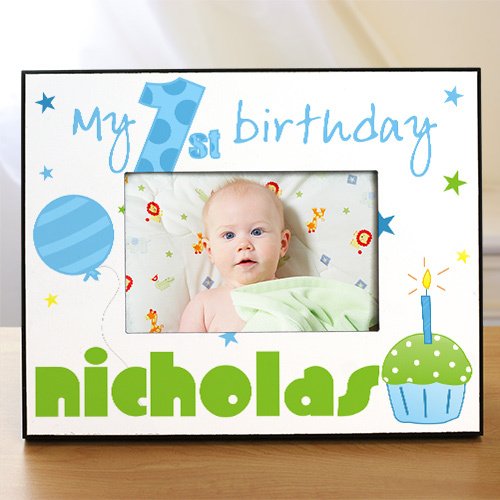 Our Baby Boy's 1st Birthday Personalized Picture Frames are a great Personalized Birthday Gift for your precious little boy. The Birthday Customized Picture Frames are a treasured first keepsake sure to be enjoyed for many years. This Frame may be personalized with any name. I love this frame. It's exactly what I wanted! Had quite a few tiny black specs on the white portion that took some work to get off.